Posted 11/9/2017 9:22am by Cherry Valley Organics. The term "super-food" gets thrown around a lot these days, but do you know what it actually means? A super-food is any food item that's especially nutrient dense or has a high concentration of vitamins, minerals, antioxidants, heart-healthy fats, or some other benefit to our health. While blueberries, kale, and salmon have sat squarely on the list of super-foods since the term was first coined, there are lots of other super-foods that are far less famous. 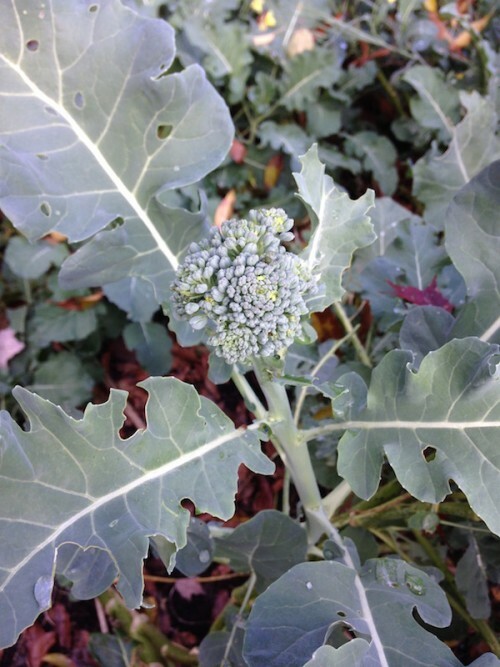 Today, we'd like to introduce you to one of our farm's favorite super-foods: Broccoli leaves. Yes. That's right. Broccoli leaves. Wait... Are Broccoli Leaves Edible? Most people are already aware of how healthy broccoli florets are, but we're guessing that those same people don't even know that broccoli leaves are edible, let alone how delicious they are. When we bring bunches of broccoli leaves to the farmers market or offer them in our Farm Share boxes, our customers aren't quite sure what to do with them. As it turns out, you can enjoy these yummy greens in all kinds of ways. Their flavor is reminiscent of collard greens, but with a burst of broccoli flavor and a more succulent texture. 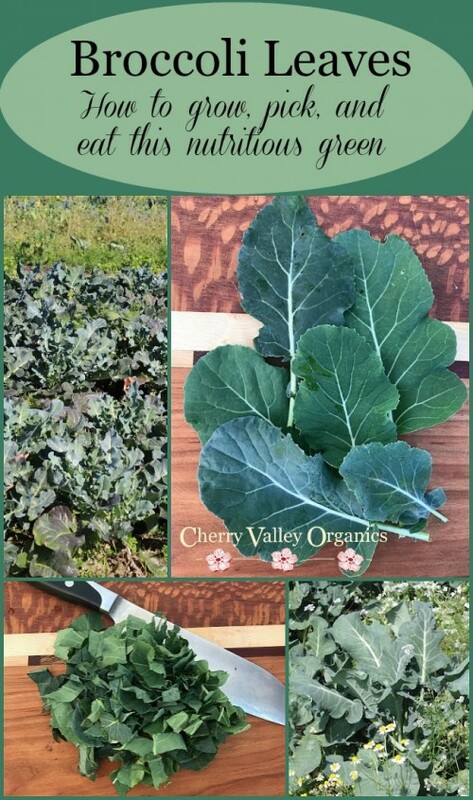 Before we get to our favorite broccoli leaves recipe, we'd like to tell you a little more about how to grow and harvest these nutritious greens. Broccoli is one of the most-valuable crops here at our organic farm because it's one of those rare crops that offers several harvests from each plant. First, we harvest the main head of broccoli about 65 days after the plants go into the field in early spring. After harvesting the main head, we leave the plants intact and just a few weeks later, they begin to produce many side shoots. These tender little mini-heads of broccoli are truly a gourmet delight. The plants continue to produce side shoots through the summer and into the fall, and we harvest as frequently as we can to keep new side shoots coming. But, when fall arrives, it's time to switch gears and start focusing on harvesting the leaves. To harvest broccoli leaves, we head out to the field after the plants have been subjected to a few light frosts. 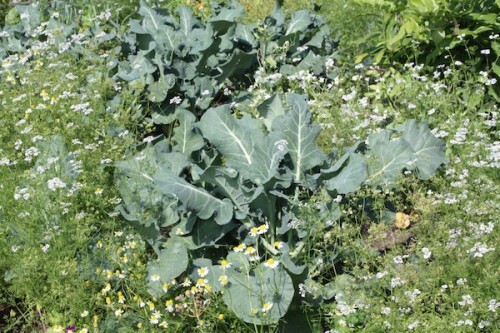 When cold-tolerant vegetables, such as broccoli, kale, and many root crops, are exposed to freezing temperatures, they begin to convert the starches in their leaves into sugars; it's their own version of "antifreeze" and it prepares them for colder temperatures. Growers make the most of this phenomenon and harvest the sweetest veggies possible by delaying their broccoli leaf harvest until this time. To harvest broccoli leaves, we use a sharp knife to cut the leaf stems from the main stalk. Selecting the healthiest and most succulent leaves results in the best flavor. Once the broccoli leaves are in the kitchen, it's time to get cooking. Prepare the leaves by removing their central mid-rib first. This rib is often tough and fibrous, so toss it into the compost pile instead of into your recipe. Rinse and pat the leaf blades dry before cooking them. 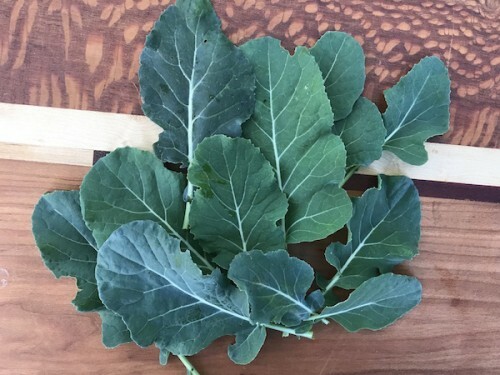 There are may ways to cook broccoli leaves in the kitchen. They're excellent chopped and sautéed in olive oil with fresh minced garlic, sea salt, and cracked pepper. You can also add them to your favorite vegetable lasagna recipe. But, our favorite broccoli leaves recipe involves your Thanksgiving leftovers! 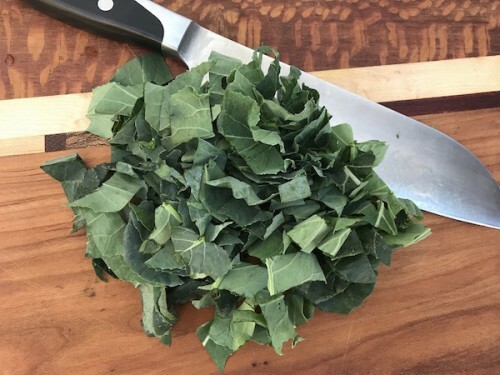 This is an excellent seasonal dish that doesn't take long to make and allows you to enjoy the texture, flavor, and health benefits of broccoli leaves. Oh, and if you don't have any leftover Thanksgiving turkey, you can substitute cooked chicken or even a pre-made rotisserie chicken from the grocery store. Preheat oven to 400 degrees F. Spread half of the potato rounds over the bottom of a 9 by 13 inch baking dish, overlapping them. Grind pepper over them generously. Distribute half of the feta over the potatoes. Slowly pour 3/4 cup of the cream over the top. Spread half of the cooked turkey over the top and sprinkle with half of the scallions, half of the parsley, and half of the chopped broccoli leaves. Repeat a second layer of potatoes, feta, cream, turkey, scallions, parsley, and broccoli leaves. Sprinkle the Parmesan cheese uniformly over the top. Cover the baking dish loosely with aluminum foil so steam can escape. Bake for 40 minutes. Remove the foil and bake another 5 to 10 minutes until Parmesan is lightly browned and most of the cream has been absorbed. Let stand 5 minutes before serving. All content property of Cherry Valley Organics. 1713 Main Street, Burgettstown, PA 15021.